Why Is Irrigation So Important? Picture what your dinner table might look like if the fruits and vegetables you eat weren’t properly watered. Imagine if you will, what your yard would like if it were left without water. Do you see a lush, green lawn where your children like to play? Or a pale lawn that is barren of life? Can you serve heaping servings of ripe fruits and leafy vegetables at dinner? Throughout the state of Arizona, where summer temperatures average 100 degrees, irrigation is the most important use of water there is. But only after drinking water, of course! 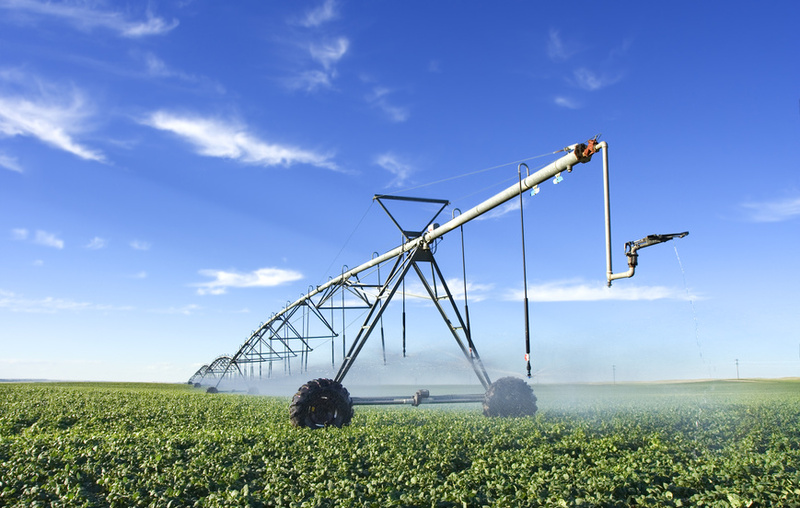 Irrigation is the process of artificially applying water to the land or soil in order to assist in the growth of agricultural crops and the maintenance of beautiful landscapes by using minimal amounts of water. Considering the water is one of the most fragile of all natural resources, and that states such as Arizona and California are currently suffering from drought like conditions, it’s extremely important that we incorporate methods to conserve it for future generations. – One of the more traditional methods of irrigating, this method requires that seedlings be placed in rows, with canals or furrows running in between them. Siphon tubes are then used to move the water into the ditches. – Designed specifically for steep land, terraced irrigation utilizes man-made steps and retaining walls to move the water to the flat land, where the planting takes place. – Known to be the most water efficient method of all, drip irrigation works by places drops of water right near the root zone of your plants or crops. When installed correctly, you can steadily reduce any evaporated water loss. – Both overhead and underground sprinkler systems work in the same manner. When water pressure rises, the sprinkler heads either rise up or turn on, to spray your land with sufficient amounts of water. – Mechanically driven sprinklers that rotate in a circular motion in order to irrigate larger areas, as they can reach distances of up-to 100 feet. This system requires smaller amounts of water than many of the other options available. – A self-propelled irrigation system that utilizes a mechanically driven pipeline, whether steel or aluminum, which is suspended on trusses and mounted on wheeled towers to water crops in a circular motion. These systems carry the additional benefits of saving you time and money as well as increasing the growth and health of your lawn, plants and crops. For more information on the important of irrigation, please contact Elite Landscaping and Sprinkler Repair.